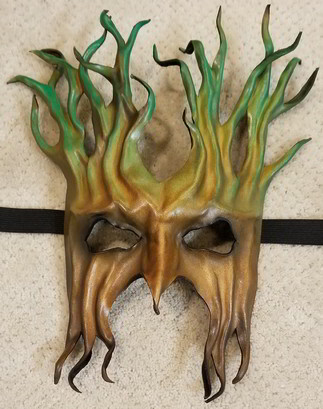 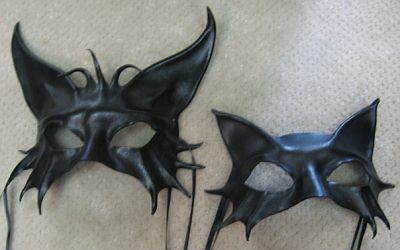 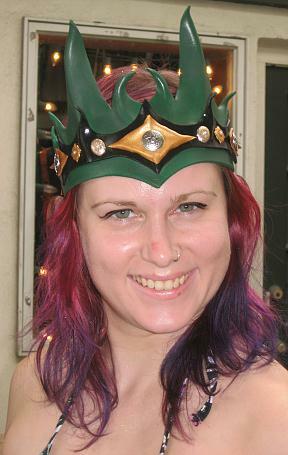 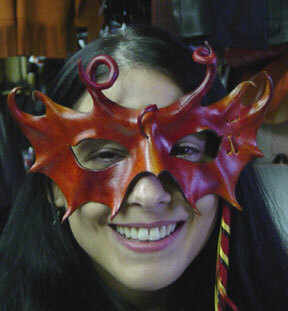 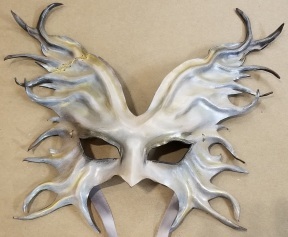 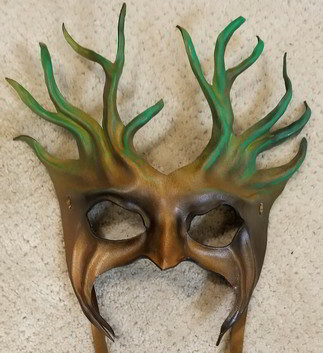 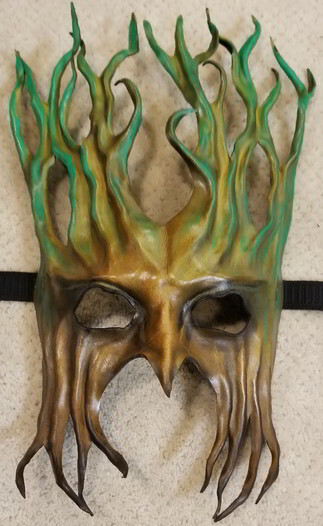 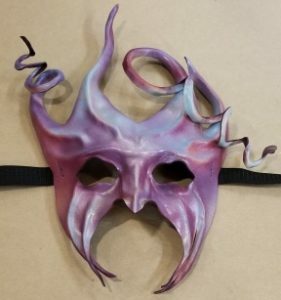 Caroline Guyer of New Hope, PA, hand makes these one-of-a-kind molded leather fantasy masks. 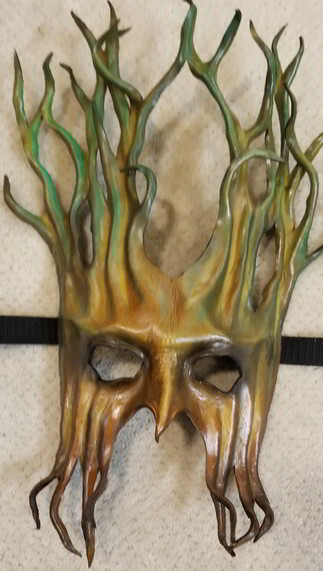 Each mask is crafted by hand and signed. 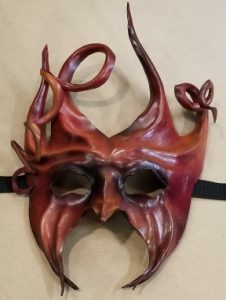 No two masks will ever be exactly alike as leather, when sculpted, takes on a little bit of a life of it’s own due to variables in the individual hides the piece is cut from. 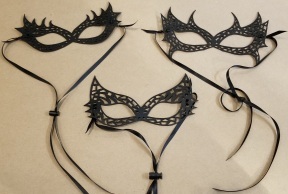 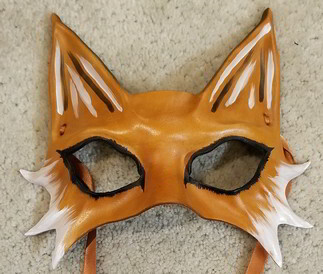 Each mask ties with ribbon or elastic ties and is sized to fit an average adult. 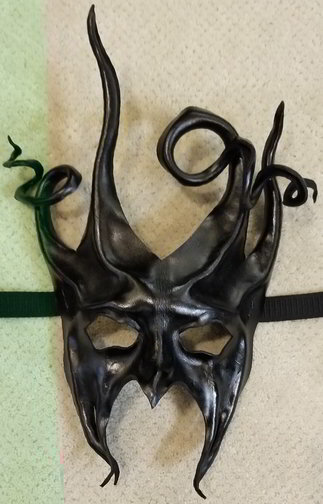 Leather Mask – Black Mask $69. 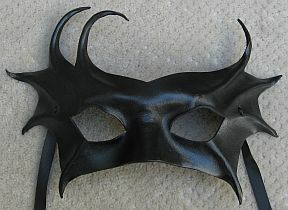 Leather Mask – 1901 $169. 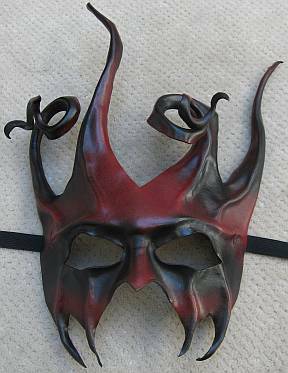 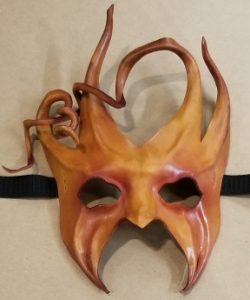 Leather Mask – Evil Jester $159. 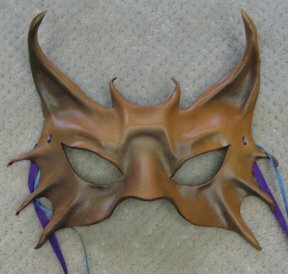 Leather Mask – 1902 $159. 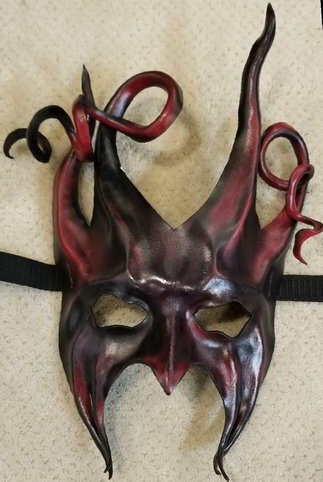 Leather Mask 1814 – Mask $49. 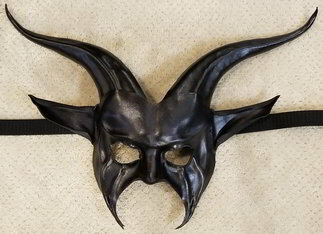 Leather Mask 1903 – Mask $159. 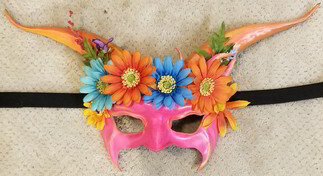 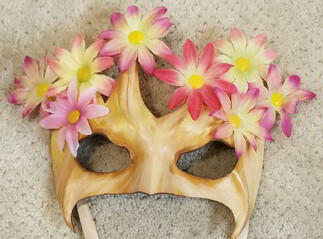 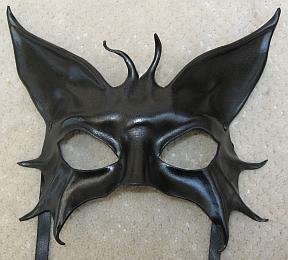 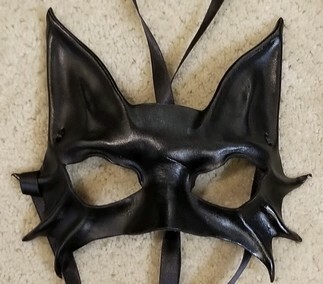 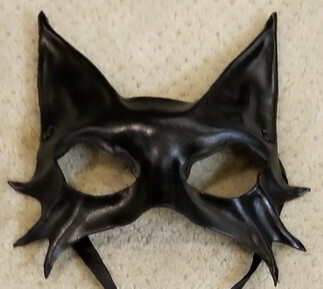 Leather Mask Cat Large $80. 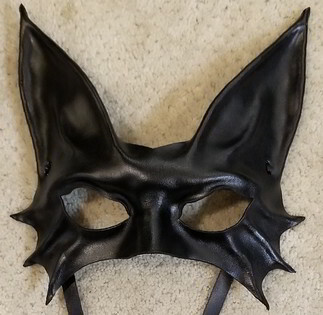 Small $60. 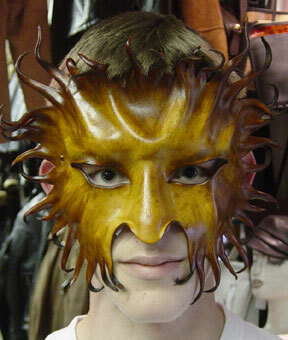 Leather Mask 1804 – Mask $159. 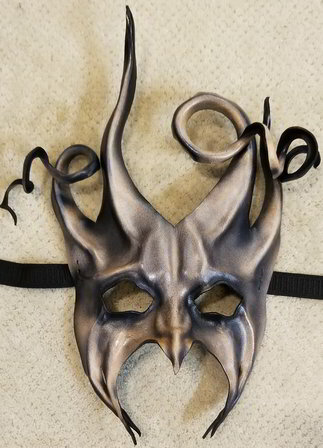 Leather Mask 1809 – Mask $79. 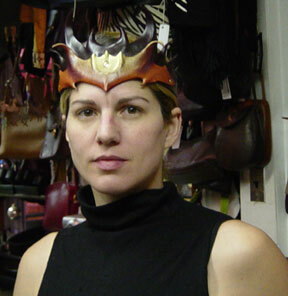 All of our leather masks are individually hand formed by Caroline Guyer and no two are exactly alike.